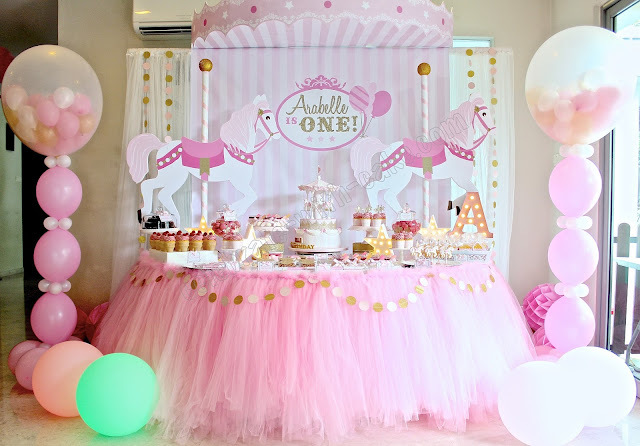 An old friend dropped me a message and got us to make her uber cute baby girl's first birthday cake. 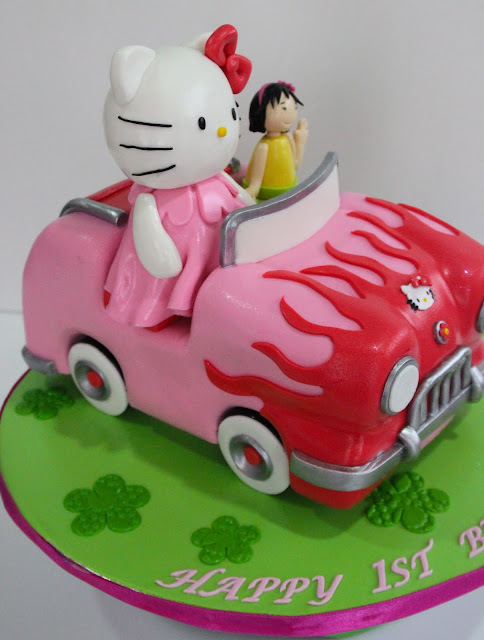 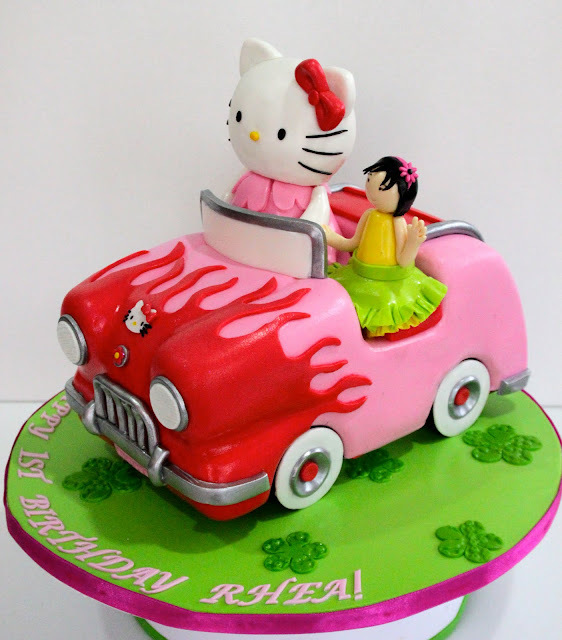 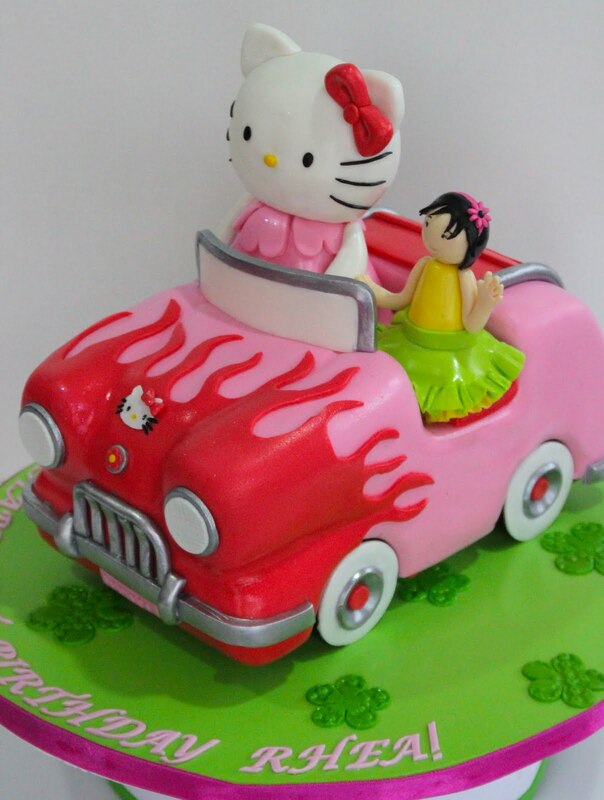 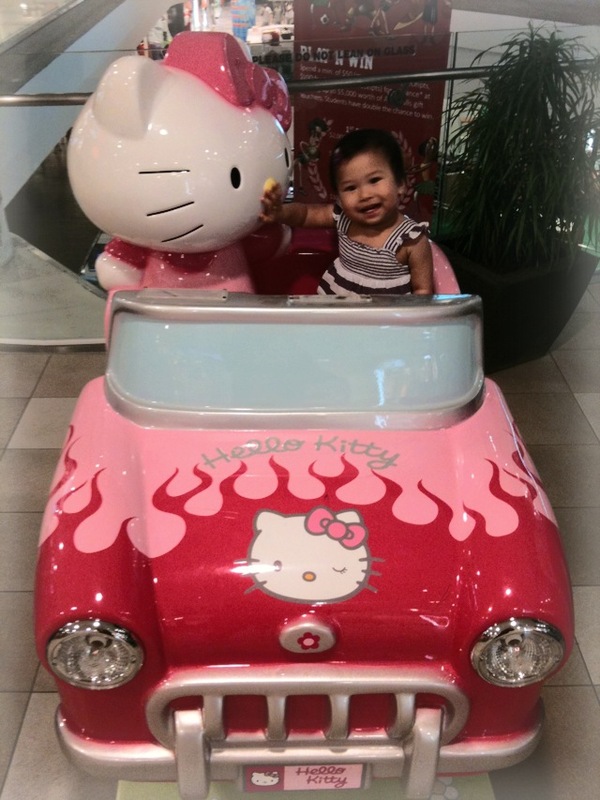 Mom sent us a picture of baby Rhea sitting in a hello kitty ride and requested for a sculpted cake like that. 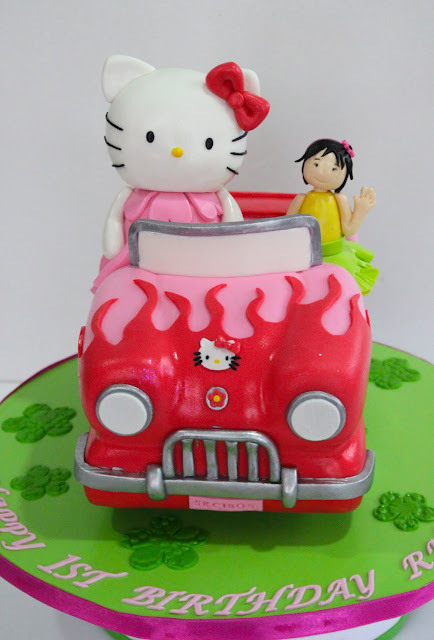 Mom's only request was for us to make hello kitty looking spright ahead instead of sideways like the real thing.